​​Tottenham Hotspur are reportedly eyeing a move for ​Sheffield United's young attacker David Brooks this summer. 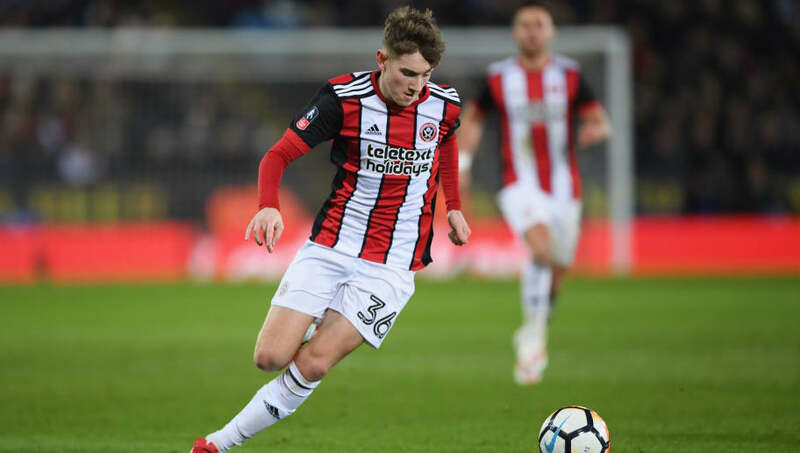 The 20-year-old impressed in the Championship last season, and while not having the most impressive goalscoring record, he featured 33 times for the Blades giving him some much needed first-team experience at such a young age. The Sun reported in June that Bournemouth had tabled a £12m bid for the youngster, but according to journalist Alan Nixon on his private Twitter account (via ​This is Futbol), Spurs could hijack the Cherries's move as they look to add depth to their squad. Spurs have already been linked with moves for Championship stars ​Jack Grealish and ​James Maddison this summer, with the north London club looking to find some value in England's second-tier. Mauricio Pochettino has a proven reputation of developing young talent with the likes of Dele Alli and Harry Kane both progressing under the Argentinian coach, and a chance to play under the Spurs boss is an attractive prospect for any young player wanting to improve. Yet having made just nine starts in the ​Championship last season, it looks unlikely that Brooks will be able to make the step up immediately to the level that Spurs will want to play at. A move to ​Bournemouth is a much more likely proposition, as the South Coast side can offer the youngster more chance in the first-team and the opportunity to impress under less pressure to perform.